To find new oil and gas reserves, extract the crude and refine to produce as much as possible and as fast as possible, while minimizing costs, abiding by strict new regulations and providing auditable information to accurately show compliance are just a few of the many challenges faced by companies in the Oil & Gas value chain. Moreover, globalization forces these companies to think globally and act locally, which requires strong global collaboration and often reorganization. In today’s dynamic environment, companies particularly in upstream O&G (Oil Field Equipment and Oil Field Services) are assessing the impact of structural changes and are strategizing to develop new products and innovative technologies that can compete effectively on price, quality and reliability. They are relooking at strategies to overcome the challenges of increasing product complexity, global collaboration and meeting regulatory requirements. 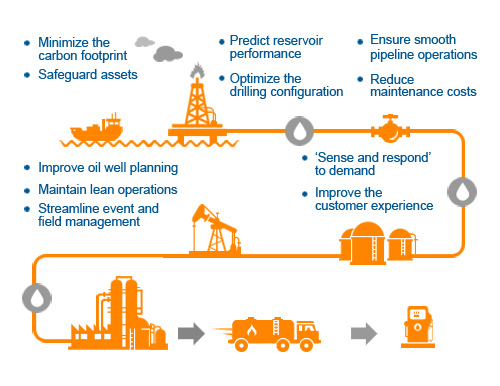 Due to the increasing digitalization and globalization of product development, production and distribution processes, the requirements of upstream O&G companies have become more complex and challenging. Advances in research and technology in the contract drilling industry continues to be the most critical factor, which gives upstream O&G companies a competitive advantage. Continual improvements in technology and procedures have resulted in lower drilling costs and improved safety. At STEM Xpert, we understand technology needs and challenges faced by companies in upstream Oil & Gas. Our focused services for OFE and OFS part of the O&G value chain help companies improve product development, engineering and manufacturing efficiencies. Our rich experience in working with world leading OFE and OFS companies has given us a critical understanding about its processes and their technology requirements. Beyond our technology expertise, our responsiveness and flexible partnering model make it relatively easier for our customers to create value, while working with us. Our delivery model includes dedicated centers of excellence as well as aligning with captive offshore centers of our customers.